Shelby Coffey, Vice Chair of the Newseum, joins us to talk about the evolution of media and how companies can thrive in an increasingly competitive space. Daniel Burrus joins us again on the Innovation Engine podcast, this time to talk about the business benefits to becoming an anticipatory organization. Nick Skillicorn joins us on this podcast episode to talk the importance of creativity in the workplace and how to improve your own creative abilities. Microservice & Serverless Architectures – Is Either Right for You? 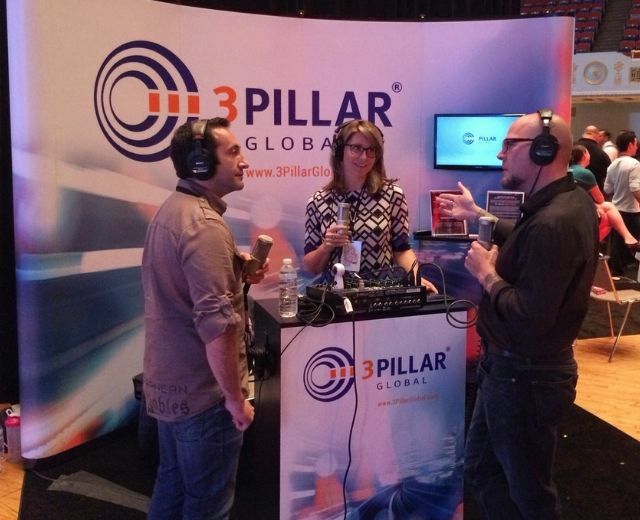 Bob London talks the power of listening on this episode of 'The Innovation Engine' podcast from 3Pillar Global. Kathryn Rosaaen and Jesse Vizcaino join us to define exactly what machine learning is and whether or not to incorporate it into your business. On this special double episode of the Innovation Engine, we bring you interviews with presenters and attendees of Industry Summit 2017. For this episode of The Innovation Engine, Jennifer Ives and Julia Slattery join us to preview Industry Summit - the Product Conference. Customer experience futurist, author, and keynote speaker Blake Morgan joins us on this podcast episode to talk why customer experience is vital. 3Pillar CTO Jonathan Rivers joins 'The Innovation Engine' to talk about why the path to innovation labs is littered with failures. Adi Chikara and Paul Doman join us on this episode of Take 3 to give us the three key takeaways of continuous improvement. Michael Lisse and Derek Tiffany come back into the Take 3 studio to give us a debrief of the Consensus Summit and look at the future of blockchain. Rachael Stott brings inside the Refraction co-working space to give us a tour and showcase how she has put her ideas into practice. Scott Bales joins us on this episode of The Innovation Engine podcast to talk about the concept of "innovation wars" and the importance of lead users.